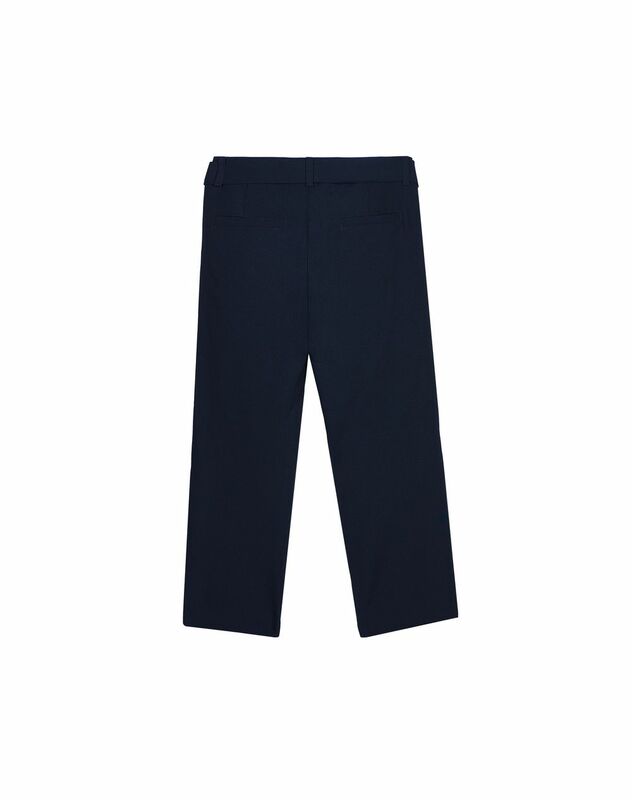 Navy blue pants, tied waist and stitched side pockets. 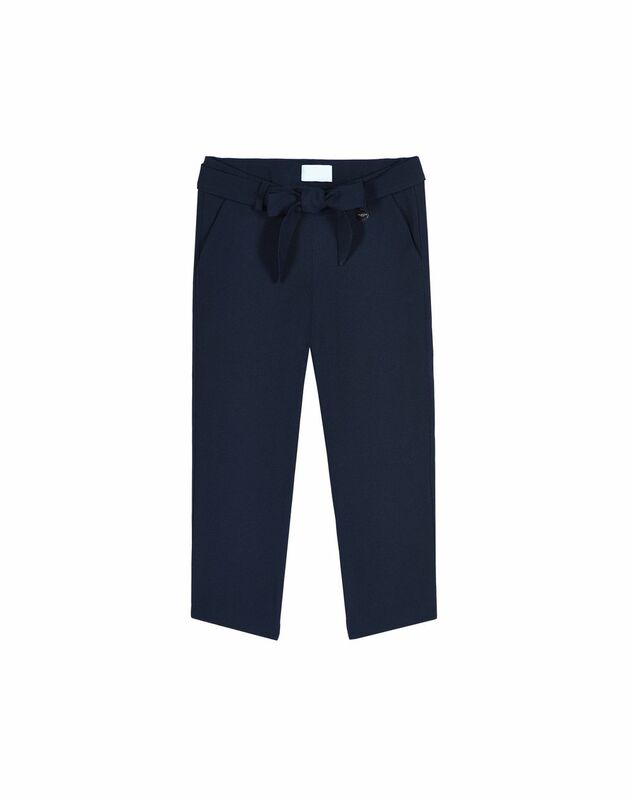 A new arrival in the Fall-Winter 2018 Collection, these gorgeous navy pants have a distinctive ribbon tied in a bow. 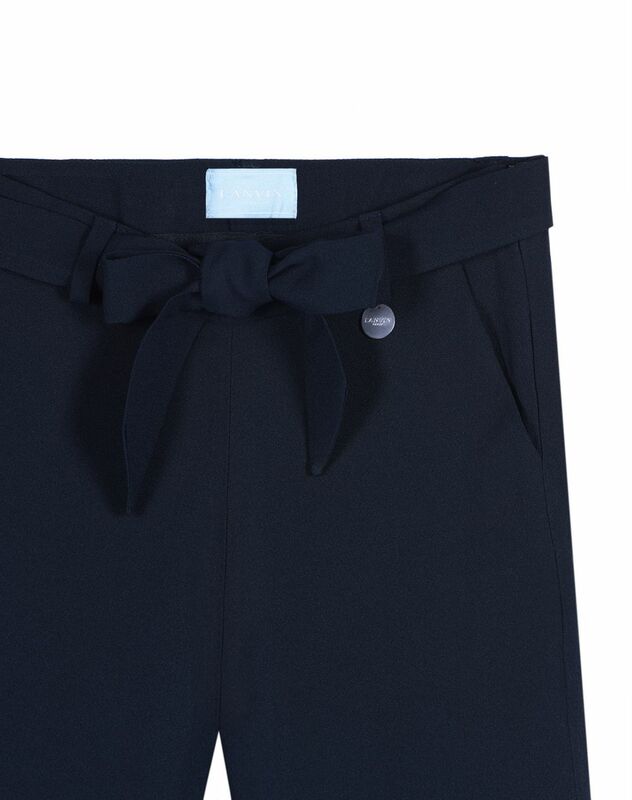 Unmistakably feminine luxury details give this model elegant form. Main materials: 80% cellulose acetate, 20% viscose. Made in Italy. Care conditions: Gentle machine wash at 30°C Do not use bleach. Do not tumble dry. Iron at low temperature. Dry cleaning.